Place the rice in a pot. Add enough water to cover the rice by 3/4 inch. An easy way to measure the water is to use the knuckle test  the water should come up to the first joint of your knuckle. (For 1 1/2 cups rice, I use just over 1 3/4 cups water). Long grain scented jasmine rice is very popular in Asian cooking. 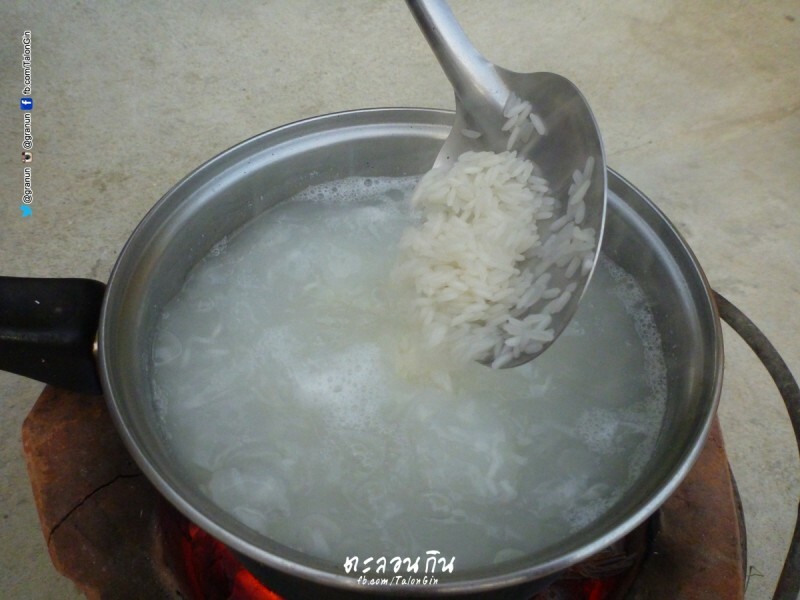 The trick is to use less water, so that the rice is really being steamed instead of boiled during the second half of the cooking process. Cooking jasmine rice in a rice cooker can be tricky. Try reducing the amount of water called for in the rice cooker’s directions – even to a 1:1 ratio if necessary.